Our chiropractors and healthcare professionals strive to provide patients with as many choices as possible all under one roof. You can save time and money while reducing medical & clinical oversights and mistakes. Combined knowledge of healthcare professionals from multiple disciplines equip Dunn Healthcare Clinic with the tools required in finding answers to health problems other doctors have dismissed. Don’t keep going to doctors who treat your problems with a pill and never address the root cause. 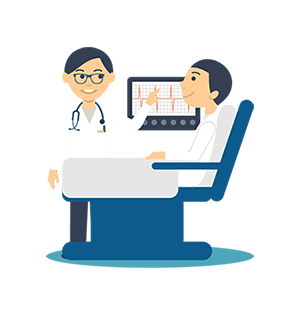 At Dunn Healthcare Clinic our doctors can provide the answers you have been searching for in a comfortable and relaxed environment designed for people of all ages. 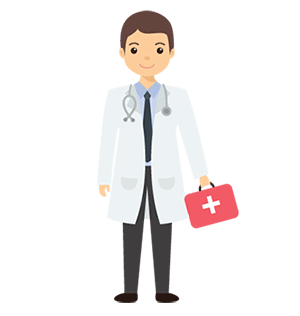 We bring together independent healthcare professionals from different disciplines and specialties in order to provide patient outcome focused healthcare. Our healthcare professionals can provide services to begin the healing process for a variety of conditions including but not limited too. 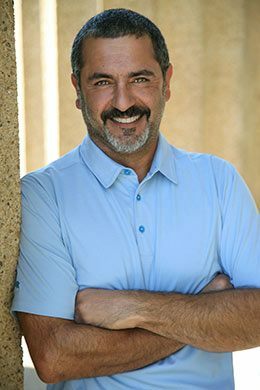 Nashville native Dr. Ray Saeedpour (Chiropractor) developed an interest in chiropractic after seeing firsthand how it was able to improve health concerns that weren’t being addressed by traditional medicine because of its focus on symptoms. As a pre-med student at UT Knoxville, he interned at a integrated MD and chiropractic clinic and it was there that his skepticism about chiropractic dissolved. While seeing hundreds of patients who were seeking relief through chiropractic care Dr. Ray embraced that fact that integrated care among health professionals was the best way to provide truly comprehensive patient care. In 1994, Dr. Saeedpour graduated from The University of Tennessee, Knoxville with a BA in Administration and a BS in Science. In 1998, Dr. Ray graduated from Life University School of Chiropractic with a doctorate in Chiropractic. After practicing in another integrated Atlanta Clinic, Dr. Ray returned to his hometown of Nashville. Partnering with Dr. Gary Dunn, he became part of the Dunn Clinic team in 2000. Since then, the clinic has become one of only a few in Nashville to offer the latest cutting edge chiropractic technology. Dunn Chiropractic was voted Nashville’s Best Chiropractic Clinic by the Nashville Scene in both 2007 and 2008 as well as the 2009 Toast of Music City readers poll. In the very near future, Dr. Saeedpour plans on finishing his goal of providing a HealthCare Center where Chiropractic Physicians, Medical Physicians, Physio Therapists, Massage Therapists, Acupucturists, Nutritionists, and Behavioral Health specialists can put their differences aside and focus on patient care. Dr. Ray also enjoys motorcycles, fresh water and deep sea fishing, traveling abroad and golf. Dr. Saeedpour sees patients from 8 AM to 7 PM Mondays and Thursdays, and from 8 AM to 1 PM Tuesdays and Fridays. Dr. Blythe is a fellowship trained Orthopedic Spine Surgeon that specializes in minimally invasive spine surgeries. He received his Bachelors degree from the University of Oklahoma with honors in Microbiology. He obtained his Osteopathic Medical Degree (DO) from Des Moines University in Des Moines, IA and underwent his orthopedic training in Detroit, MI through the Henry Ford Hospital system. Dr. Blythe then went on to complete a fellowship in spine surgery with a concentration on minimally invasive spine surgery techniques through the Spine Institute of Arizona in Scottsdale, AZ. Dr. Blythe focuses on the most innovative surgical options for his patients. He is experienced in all aspects of general orthopedic care, including: hips, knees, shoulders and trauma care. 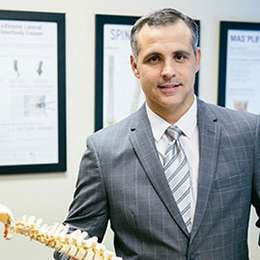 His specialized training in minimally invasive spine surgery is unique to the Middle Tennessee area and offers some of the most advanced surgical techniques available anywhere. Minimally invasive spine surgery involves dramatically smaller incisions, cause less pain, reduced blood loss, require shorter hospital stay and results in faster recovery. Dr. Blythe has been innovative since coming to the Nashville. He started a new business called Expert Spine Care that offers minimally invasive spine surgery choices to the Nashville area. He already has several spine surgery patents pending and was the first to use new devices in minimally invasive surgery for cervical fusions and vertebral body fractures. “I refuse to take a cookie-cutter approach to spine surgery. I treat each patient’s condition uniquely and feel that every patient deserves a customized surgical treatment strategy.” – Dr. Blythe. Dr. Blythe has had an illustrious ongoing military career and has spent a total of 25 years in various assignments with the Army (Active duty and National Guard) and now is a Major in the Air National Guard. He has three children who reside in the Murfreesboro area. Dr. Blythe is committed to treating each patient with the absolute best care possible. 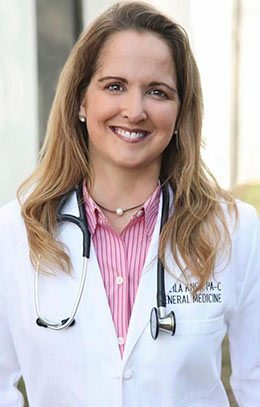 Sheila earned her PA degree from the University of Alabama in Birmingham in 2000 and has experience in cardiovascular surgery, emergency/internal medicine. 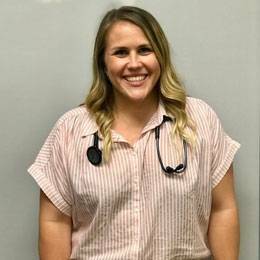 She has a special interest in holistic and homeopathic medical model offered at the Dunn Clinic. Her interest stems from her own history of rheumatoid arthritis and believes that the successful treatment and management of a variety of medical conditions and ailments can be achieved by integrating the two medical models for a comprehensive, collective approach to treating and healing the body. Her hobbies include writing, physiotherapy and healing with essential oils. She loves the outdoors and fishing is her lake sport of choice. She also enjoys travel softball ball with her husband and daughter. Hi! My name is Dr. Kelsey Tubbs, and I moved to Middle Tennessee in the fall of 2016. My dream has always been to practice in an integrated facility that utilizes various different healthcare approaches that are all aimed at using the best treatments possible for our patients. I attended the University of Tennessee at Martin where I graduated with a Bachelor of Science in Biology. I was also a part of the university’s cheer team where I cheered for both football and basketball all four years of my college career. After graduating in May of 2013, I moved to St. Louis where I attended Logan University for the next three and a half years for my chiropractic education. 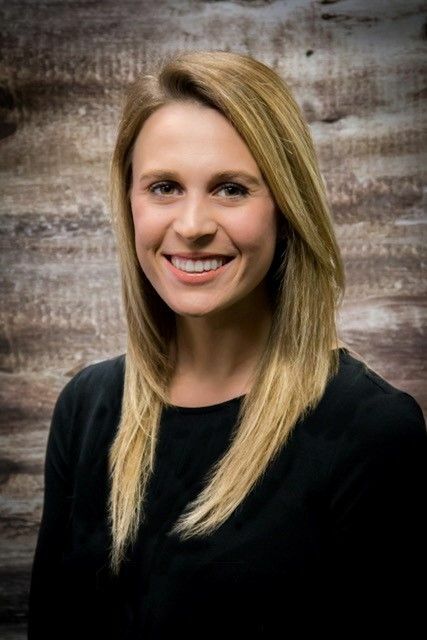 While at Logan University my passion for chiropractic grew even stronger, and it reaffirmed my desire to want to help people and build healthier communities through a different healthcare approach. I graduated Logan University with my Doctorate of Chiropractic and my Master’s in Sports Science and Rehabilitation from Logan University in December 2016. Outside of my education and career, I love being outside and doing anything outdoors. During the summer you will most likely find me boating on the Tennessee River on the weekends. I enjoy working out, traveling, and cheering on the Tennessee Volunteers during football season (Go Vols!). Hi! My name is Kendall Bush and I’m the new Physician Assistant at Dunn Clinic. I am a born and raised native of Nashville, TN. I attended Tennessee Tech University where I played college softball, met my amazing husband, Zak, and received a B.S. in Biology. I received my Master’s Degree from Bethel University Physician Assistant Program in Paris, TN. I got into healthcare to help people achieve a better quality of life and help them be the best version of themselves, and I am looking forward to my career here at Dunn Clinic. In my spare time, I like to do Crossfit, play intramural softball and kickball, play with calligraphy and crafts, spend time with my family, and be outdoors. 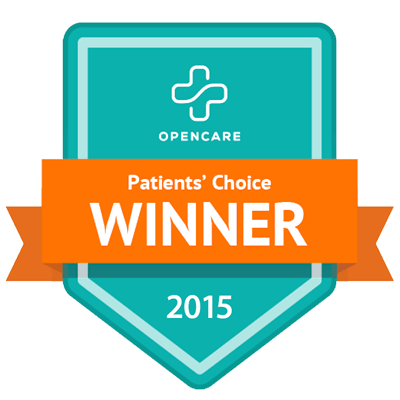 Why should you choose Dunn Clinic? The first thing we do! We thoroughly interview patients and listen. The best patient outcomes are delivered when patients and healthcare professionals have open and honest communication. Listening and having a thorough understanding of all the patients’ symptoms is the foundation of great medical care. Listening to our patients is only the first step. 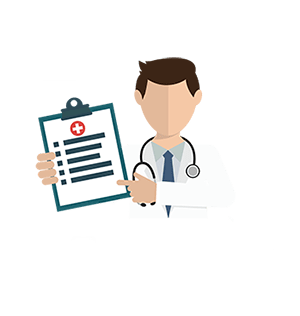 Once we understand your symptoms we will discuss and review your case with our specialists and healthcare professionals. Having access to healthcare professionals from a variety of specialties is what gives us an edge in finding the perfect treatment options for our patients. Patient education and understanding is KEY! We will take the time to educate you about your condition, its possible causes and ultimately your treatment options. We believe that if you understand your condition, treatment will have not only a better chance of success but also be less likely to reoccur in many situations. Possibly one of the most important steps in our process is ensuring that you as the patient understand all of your options. Finally, the reason you are here. Treatment. Treatment can come in many forms. 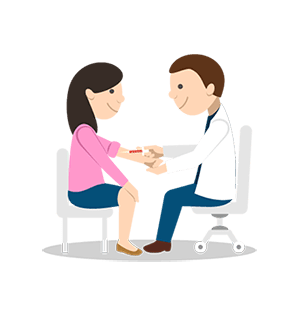 The advantage we have at Dunn Clinic is our ability to find the right treatment for your condition even if this means the best course of action is to refer you to another doctor. Our only interest is providing the best patient care available. We will take the time to discuss every option available to you and our healthcare professionals are experts in finding those options. Patient outcome is the most important thing at Dunn Clinic. Our mission is to provide our neighborhood with the type of healthcare they deserve at affordable prices. We have proven that reducing clinical mistakes and oversights is achievable through combined efforts of healthcare professionals. We will take the time to educate you about your condition, it’s possible causes and ultimately your treatment options. We believe that if you understand your condition, treatment will have not only a better chance of success but also be less likely to reoccur in many situations. Possibly one of the most important steps in our process is ensuring that you as the patient understand all of your options.